Lighting is very useful in so many ways. Inside great task lighting is very important in your interior design and adequate outdoor lighting can help deter break-ins. We recommend CFL or LED lights for energy efficient lighting. We also recommend that you replace your five most-used light fixtures with ENERGY STAR® products. Great lighting makes all the difference and the GE Reveal® light bulb is not only energy efficient but also makes your home’s décor shine. GE Reveal® bulbs makes your whites whiter and allow the patterns throughout your home to pop. Of course, you also want to make sure you turn off your lights when not in use. For this reason, it is a good idea to considering motion –detector lights for your outdoor lighting and timers inside, that will turn your lights on in the morning and off in the evening. The Redwood house plan is an ENERGY STAR® approved plan. The exterior lighting shown here will keep the homeowners safe and also illuminate baths and steps so guests can avoid injury. You can use motion-detectors so the lights only turn on if there is movement outside. If you want to take it one step further you can install a light control system. The use of a smart phone or tablet means that you will no longer have to worry about if you left that light on upstairs. 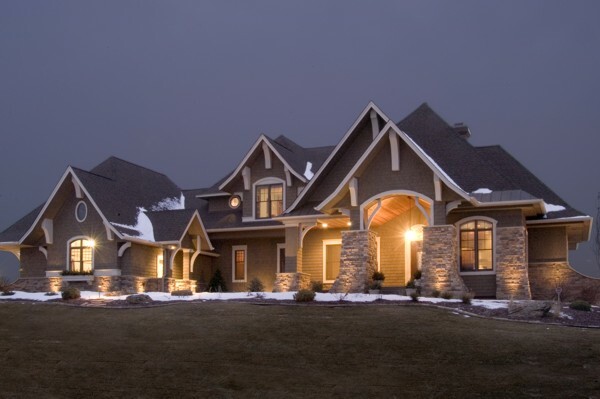 Many home automation systems offer lighting control as part of their package but Lighting Control from SAVANT® Systems is one of our favorites. SAVANT® Systems offers a wide variety of award-winning use interfaces including some Apple® iOS control apps, to create beautiful complimentary lighting as well as automate landscape and security lighting, and respond to variable sunsets times throughout the year. SAVANT’s® Lighting Control system also gives you the ability to adjust light for video conferencing. 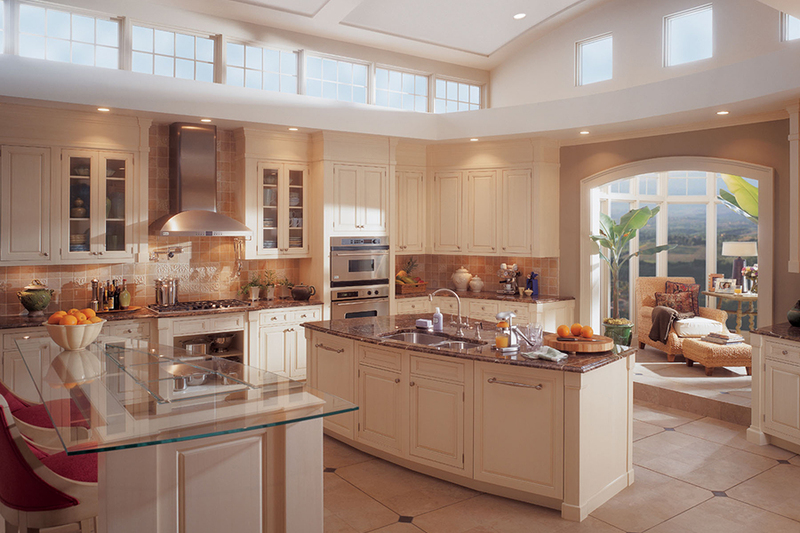 Lighting is a quick way to makeover your house, whether you replace the bulbs or you are looking to install dimmers, there are many ways that you can have a beautifully lit home and save money at the same time. Whether you are in a new home or one you have lived in for several years, take a look at your lighting and see if you if you can make a few energy-saving changes.